OMG Posters! » Archive Emek's Michael Franti & Spearhead Poster (Onsale Info) - OMG Posters! 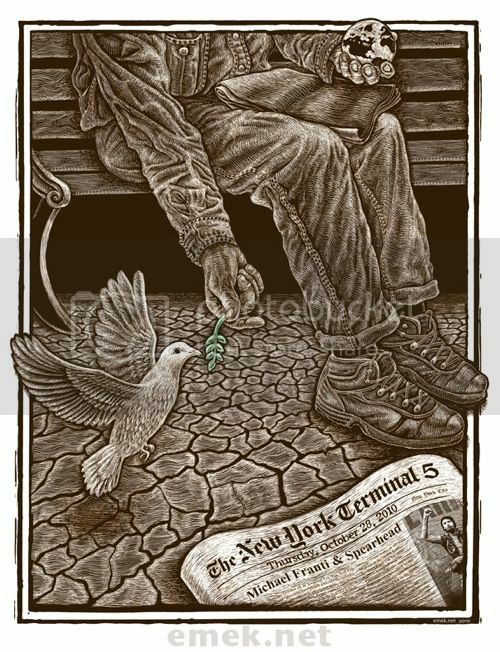 Emek will release his Michael Franti & Spearhead poster tomorrow. It’s an 18″ x 24″ screenprint, has an edition of 200 (only half online), and will cost $60. It goes up tomorrow (Thursday, January 27th) at 12pm Pacific Time. Visit the Store/Info tab at Emek.net.